Before we look at the numbers, let’s take a brief look at the test system that was used. All testing was done on a fresh install of Windows 10 Pro Anniversary Update 1803 64-bit and benchmarks were completed on the desktop with no other software programs running. The AMD and Intel platforms were tested with the Balanced Power Plan after the system was at an idle state. No other Windows modifications were done. 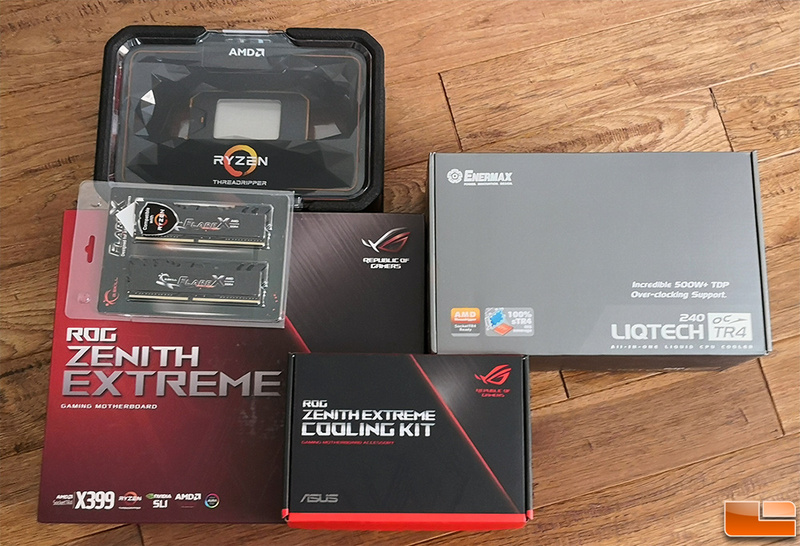 The AMD X399 platform that we used for testing was built around the ASUS ROG Zenith Extreme motherboard ($429.68 shipped). We used UEFI version 1402, which was the latest available at the time of testing. A G.Skill FlareX 32GB (4x8GB) 3200MHz DDR4 quad-channel memory kit was used. A Corsair AX1200i digital power supply was used for power delivery and a Enermax LIQTECH TR4 II 240mm kept the CPU cool. For storage needs an HP SSD EX920 M.2 1TB SSD was used to hold Windows 10 Pro 64-bit v1803. The OS was installed from a clean ISO with all available Windows patches as of 8/10/2018. An NVIDIA GeForce GTX 1080 Ti FE graphics card handled graphics with GeForce Game Ready Driver version 398.82. 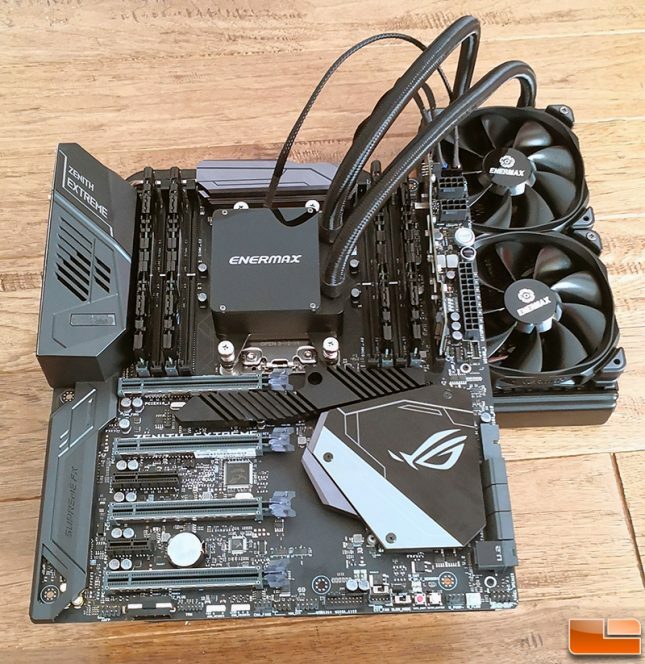 The AMD X470 platform that we used for testing was built around the ASUS ROG Crosshair VII Hero WiFi motherboard ($289.00 shipped). We used UEFI version 0508, which was the latest available at the time of testing and the build that we were told would be the first public release. A G.Skill SniperX 16GB (2x8GB) 3400MHz DDR4 dual-channel memory kit was used, but we manually clocked it at 3200MHz clock speeds as that is the sweet spot right now for pricing and performance. 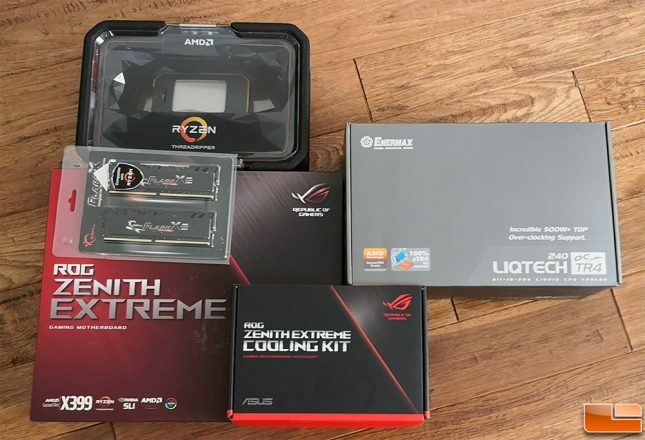 We used the stock AMD Wraith Spire CPU cooler for the Ryzen 7 2700X and 1800X processors and a Corsair AX1200i digital power supply was used for power delivery. An HP SSD EX920 M.2 1TB SSD was used and Windows 10 Pro 64-bit v1803 was installed from a clean ISO with all available Windows patches as of 8/10/2018. An NVIDIA GeForce GTX 1080 Ti FE graphics card handled graphics with GeForce Game Ready Driver version 398.82. The Intel X299 platform that we used to test test Intel processors was done on the ASUS PRIM X299 Deluxe-II motherboard with UEFI 0210 from October 12, 2018. 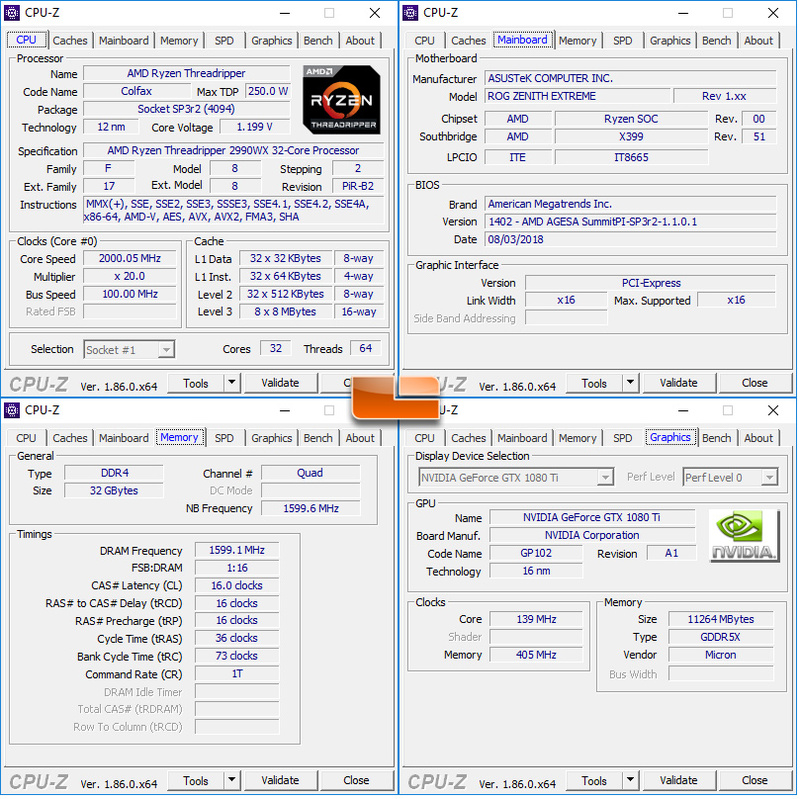 A G.Skill FlareX 32GB (4x8GB) 3200MHz DDR4 quad-channel memory kit was used. A Corsair AX1200i digital power supply was used for power delivery and a Corsair Hydro 240mm CPU cooler kept the CPUs cool. For storage needs an HP SSD EX920 M.2 1TB SSD was used to hold Windows 10 Pro 64-bit v1803. An NVIDIA GeForce GTX 1080 Ti FE graphics card handled graphics with GeForce Game Ready Driver version 398.82. 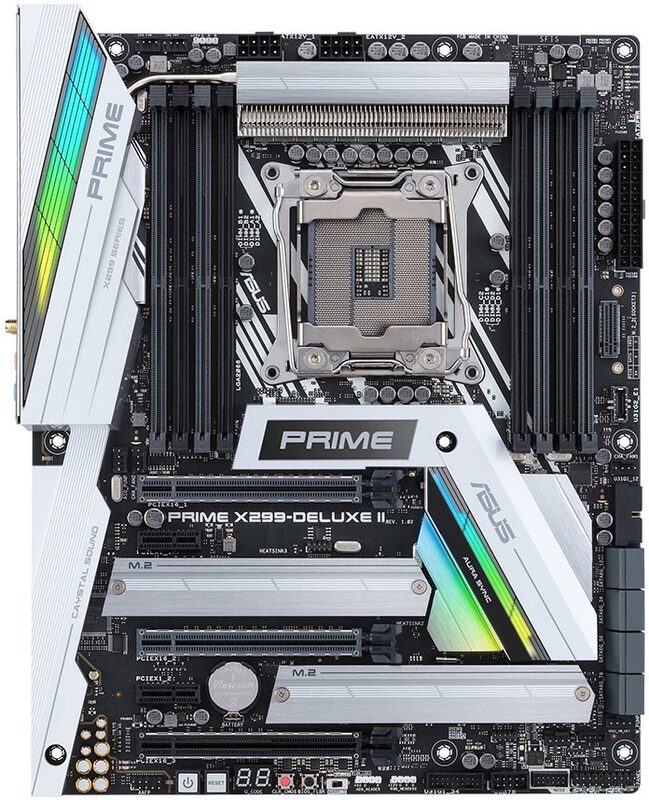 We did disable ASUS MultiCore Enhancement (MCE) on this motherboard. The Intel Z390 platform that we used to test the Intel 1151 processors was running the ASUS ROG MAXIMUS XI HERO motherboard ($339 shipped) with UEFI 0506. All the other components used on this platform were identical to that of the Intel Z390 platform. We did disable ASUS MultiCore Enhancement (MCE) on this motherboard. 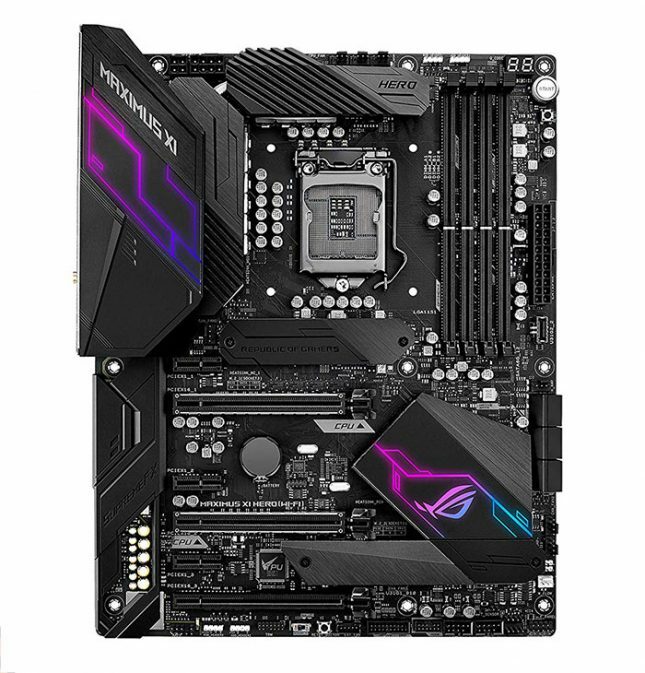 Below you’ll find a quick table on how ASUS MCE works as it is different that want other board makers are doing and this will impact performance on Z390 boards.